Parking apps are a big exhale of relief for those who stay in cosmopolitan cities. Struggling to find a vacant place to park your vehicle is a day to day synopsis which doesn’t need to imagine. Parking lots are nothing, but it’s short of a web, which rapidly increases the number of cars in big cities only to add trouble. Therefore, finding a parking spot nearest to the elevator is like winning a lottery. Moreover, identifying where you parked your car is also one information which you need to hold in the back of your mind. Addressing this issue is the need for an hour because for some it could be an urgent business meeting or might be a medical emergency for others and so on. Mobile app for parking is a big business where they process non-cash payments to help driver for finding and reserving the parking space. Integrating this feature is easy at time of mobile application development. It can also help to avoid parking tickets, clear direction with real-time information on traffic jams. So, there might be several reasons why parking app is highly in demand among the users. Localization: This type of parking app mainly focuses on the specific metropolis to cover as many parking spaces as possible within the coverage area. For example, ParkRight is the app which works for London to provides a wide selection for on-street and off-street parking. Geographically: This type of app helps in several cities, where they also provide international services. For example: ParkNow Group. They offer their services in more than 1000 cities across the world. These types of apps mainly focus on different parking needs which are given below. Parking in advance: Here, the reservation app allows the user to pay in advance to reserve a place. that they intend long to park. For example, ParkMe will enable the user to park up to two weeks before they planned a business trip. Parking on the fly: It is mainly designed to find a space to park which is available on the spot. For example: SpotAngels. It helps to show current parking options for every block in a city. • Most of the parking apps are free to download but require in-app payment for booking a parking space. It also provides numerous payments methods such as credit card, apple pay and PayPal. • Some app allows the driver to pay for parking by their phone itself. PayByPhone and MKE par are the two examples. • Some developed iOS and Android app like Parker enable their end user to filter parking options by their payment type. They also include payments by cash for the people who prefer to avoid cashless payments. • There are apps like Parkopedia Parking which don’t let their user pay within the app. These payment methods can get integrate in any app at the time of iOS and android app development. As a rule, apps for parking only cover associated garages where they don’t provide information on all garages or street parking. However, there are some apps which give all of the information and even show spaces where it’s illegal to park and where free parking spaces available. There are some apps which give a general description of parking spots, including photos of entrances, showing amenities informing about the reservation redemption, and availability of attendants, etc. They also help to tell; if a parking space requires self-parking or offers valet parking. Variety of parking option is also a matter of high priority, so below are the following methods to meet your user’s needs. Partnership with parking providers- Your partner will enjoy this partnership as this encourages parking providers to use the mobile attendant app where it has built-in QR scanner to scan parking passes and check in motorists. Partnership with cities- It is mainly beneficial for the cities as it is helping to improve urban infrastructure. Therefore, it assures a lower cost for handling payments and less traffic searching for parking. 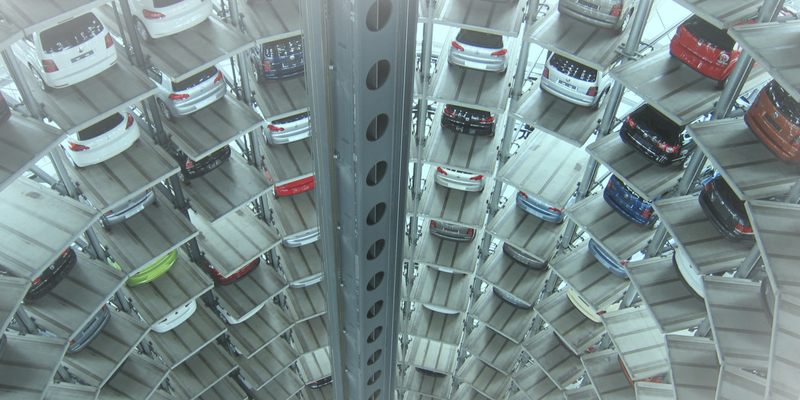 ParkNow also offers cities integrated parking ecosystem to control the moving vehicle. This platform’s parking service incorporate cashless apps, parking meters, and permits, etc. Henceforth, it provides pollution forecasts and enforcement data to manage traffic flows. Encouraging individuals to share parking spaces: They let people listing their space area while they are out. Scheduling tools help them to set their availability and monetize their underused parking spots. So, for wrapping up the entire business model, revenue channel, market growth, and customer experience, are revolving around the parking mobile app development. Henceforth, now it’s time to join the bandwagon to help several cars to find a spot with a single tap on mobile. On-demand delivery apps have widespread over the past few years. Whether you want your food delivered or you need someone to drop off your laundry or maybe you are in need of a day out and so on. Everything is possible in on-demand delivery apps. So, when the internet became commercialized, and people see what they could accomplish at the click of buttons then they become unstoppable. Now, we no longer wander aimlessly looking for a service provider, hire strangers or rely on a recommendation from a friend of a friend. Instead, we go online search’ read reviews, compare and then call the professional at home, that is how on demand deliver apps works. On-demand delivery apps have enabled the opportunity for app development companies which have also increased satisfaction and perform more sales. These apps also made things much more comfortable for online businesses. As per the survey conducted by Burson Marsteller, 86.5 million Americans, uses an on-demand service app where 45 million Americans have offered on demand services. Besides 51% of those who offered services in an on-demand economy report’ that their financial situation has improved with the help of an on-demand delivery app. It clearly shows that on-demand delivery apps are in high demand. So if you can meet your end user expectations better by providing quick and quality services, then market is ready for you. Uber and Airbnb is an undoubtedly the market leader of an on-demand delivery app because they have opened the gates for venture capital funding onto the on-demand delivery apps segments. So if you have a solid business plan and can show your commitment to action, finance and investor for your on-demand delivery app then it will be a win-win situation. On-demand apps help their end user to do real-time tracking by checking the status progress where it is highly beneficial for the logistics and transportation industry. On-demand delivery apps also enable their service providers and customers to monitor the location of the vehicle and the estimated arrival time. It helps their customers to know about the live shipment tracking. On-demand delivery apps are always equipped with cloud storage space because it is beneficial to manage all the required service data where the information is available at any time. Therefore, the streamlined storage data at a single cloud location can easily be interpreted by data analysts to identify usage trends of an on-demand app and generate better strategies that best suit the pattern of use of all stakeholders. Henceforth, the ability to store and access high amount of data becomes a blessing in the long run for mobile app development company. The on-demand app helped in reducing the time of service exchange which has resulted in the reduction of the turnaround time such as physical interactions, and therefore, initiates in prompt service. As consumers are getting faster access to the services, so their level of satisfaction has also increased and it has generated greater loyalty towards the service provider. Data storage mainly supported by the strong encryption system. Contrary to the traditional business models which are liable to consumer data leaks, where on-demand delivery apps facilitate with the data security. So, the encrypted security of an on demands delivery app protects end-user privacy along with the shipments confidentiality of any service. Most rewarding aspects of developing an on-demand delivery app is that it is highly flexible, innovative and boundless. Starting with the taxi, hotel rooms and today, they have expanded to food delivery, healthcare, home service, tutors, etc. There is no limit on how innovative and smart you can get with on-demand delivery apps. You can even take indication from daily life challenges where anyone can create an app to invent a whole new solution and to target an entirely new market. On-demand delivery is changing the way how retailers are managing the market strategy by focusing more on individual and less on demographic groups. Therefore, the traditional advertising methods for sales and conversion are getting more targeted with the help of on-demand attribution. So, for wrapping up’ on-demand apps are the future of mobile application development as almost every businesses are following the trend to meet their business goals. On-demand delivery apps are growing day by day whether you want to order food, shopping or book ride. They have made life seamless and easy. 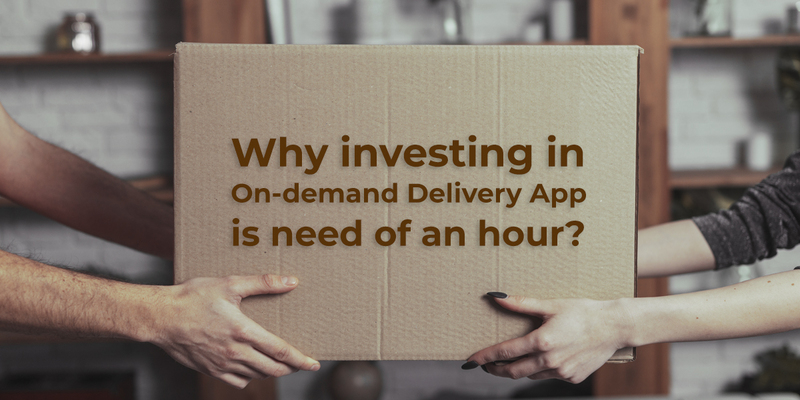 Henceforth, adopting and investing in an on-demand delivery app is great business decision as it will upscale the enterprise in this highly competitive tech-driven industry. If you want to learn how business works first, you should understand the terms which are related to business. Among all these, the one which is majorly used is return of investment (ROI) which is a method of determining the efficiency of an investment. It is a key metric used to rank the attractiveness of the number of different types of investment alternatives and is expresses as a percentage. So, when a business spends USD 1000 per month on an advertising campaign also generates USD 2000 in return directly from the campaign, you get ROI by dividing 2000 by 1000 which is equal to 2. Which shows that every single dollar spends on the campaign, the business earned 2 dollars. ROI calculation helps you understand what and all is working for you and what is against your business. Hence you can invest in areas where you can earn and generate more revenue. ROI in App development – Remember of the last few times you purchased in-store or online? Most of us use our phones to pay for the purchase. The convenience of such purchase offer has attracted many people to online purchase which is in the result of boosting mobile commerce. As per the recent research, mobile commerce will reach USD 25 billion in 2020. Well, this trend helps the organization to realize the importance of mobile and their work applications. There are certain obvious advantages found in mobile app Development Company for business. ROI in the development of hybrid as well as paid apps – Pay per download model works as the fastest way to obtain an immediate ROI for your app development. However, a given method is not received well by the users as they are not ready to pay an initial cost which they have not tested. Customers usually keep high expectation of such apps which are often not met hence resulting customers unsatisfied most of the times. Not all the app is designed to make money directly. There is another way to monetize the apps rather than making customers pay for the first time. Different types of business models used for application, by following two among them have gained popularity among paid for apps. In these types of the cases, the price for the downloading the app is usually kept very nominal so that the purchase for the customers is not very high such type of application development usually obtains a satisfactory ROI in the long run. In these types of the cases, the price for the downloading the app is usually high for the app because they are sure that product will get sold. It applies in such cases where the ROI for the app is guaranteed other it can backfire. 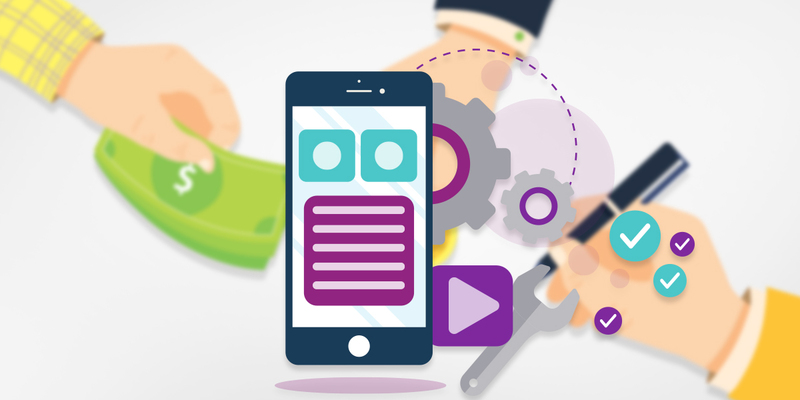 ROI in hybrid app development – The hybrid app gives more possibilities for monetization hence they are found in ample amount in the market. Such apps focus on obtaining benefits after downloaded. ROI for these achieved from advertising, in-app purchase, subscription, and payments. ROI in mobile app development – ROI accomplished in different ways in app development. Some companies even sell user information to third parties to generate revenue. Others analyse user behaviour and patterns within the industry. As long as the app providing the service which is useful to the customers, the app is a bond to obtain a good ROI. Objectives –The most vital step of all to know what you want to achieve from an app. It should start before the designing of the screens and before writing the code. Every mobile campaign can be measured by one of the two intended outcomes. Analyze your customer interaction: Focus on user acquisition and retention rate. Analyze your workplace efficiency: Focus on sales and marketing, assets management. The mobile app developer should be clear about the business objectives of all stages of app development. Without proper implementation of this step, you may not be able to utilize your funds in the app development process. App development cost -This step is essential because you need to ensure that you keep within the confines of the budget and do not consume may excessive resources in the app development process. Managing an account of the development cost is necessary because you need it to measure it against the key performance indicators as discussed. We should also keep in our mind that as soon as the app is developed, there will need of a maintenance team which will add to the long term development. Each app is a measurable KPI – Key performance indicators are business keys used to evaluate the factors which are essential for the success of an organization. Which is also different from one organization to another some may consider the net revenue as a KPI, while others might consider customer loyalty metric rate as a key performance indicator. For a workplace efficiency, metrics will give you an idea about the performance of your app and its impact on your sales, to evaluate the maintenance costs and equipment uptime. These metrics will help your campaign efforts from multiple angles and help you maximize your results in a way you like. Well, the bottom line is the market shifts towards a digital world too many businesses have come to a cutting edge to invest in mobile app development companies. Understanding and calculating the ROI of your app do not only increase the results also help to grow your business in the right direction. Know about the Difference between AR and VR in 5 Minutes!! Trying to build some unique mobile app? On the lookout for best mobile application development companies in USA? Why don’t you consider AR and VR for your next approach? A big thanks to the advancement of technology! There’s been a huge difference in the way the world has started looking at things. Augmented Reality and Virtual Reality have a great role to play in the same. However, there is a common misconception that both AR and VR are the same thing. Create Your Brand New App- This Is How You Can Do It! Up with some amazing idea to create a new app? Is this something which has just robbed your sleep at night? Now in case, you have a wholesome idea but no clue about how to execute it into reality, you have landed up onto the right page. We, in this post, are going to discuss about how to build an app- right from scratch to end. As an amateur, it’s quite likely that you will not be aware of the nitty-gritty of the process. When you need to learn about the intricate ropes of mobile app development services, you should also be chalking it out quite perfectly. How to Integrate Payment Gateway in Your Enterprise Mobile Application? Today mobile payments are being utilized all over the globe in many different forms. A research organization predicts that the alternate payments industry comprising online, mobile and contactless segments will post a CAGR of 17.6% over the period 2012–17, with revenues increasing from $740bn in 2012 to $2,700bn in 2020. The largest revenue-generating portion of the advanced payments industry is the online payment segment. Why is Mobile App Development Maintenance Extremely Important? Like humans, applications and software also require visiting the doctors (technical support engineers) regularly to maintain good health. The maintenance process starts right after the user purchases particular software or technology. To improve the the performance and fault correction, mobile app maintenance and improvement services. It helps mobile application to adjust with the upgrades and environmental changes. When applications are continuously in action, maintenance is extremely important. Mobile app development companies who are still using legacy (traditional) technology, application and software maintenance is mandatory for them. You have strategized, planned, designed, developed, tested, and now it is finally time to launch your shiny new application. However, as anybody who is ever promoted an application can confirm, it can be incredibly exciting and equally challenging as well. Almost around 20% applications fail as they don’t even see or searched by the users. It does not mean that those failed applications are bad but due to failing into a pit they just could not pull themselves out. You worked hard building your application, but that is only half the battle. Getting people to utilize it is the other half. You owe it to yourself to be just as committed to getting people to use it as you were building it. Do you know that sales of smartphones and tablets are three times higher than for laptops and Pcs? The future world will be the mobile, and every software product is focusing on securing a place under the sun should have a mobile application. Every day dozens of new aspirants decide to develop their application. Well, it is not surprising that so many screws up due to lack of experience. One the biggest mistakes they commit is that they believe coding the application is everything. Or they heavily rely only on mobile app development company and a team of developers. Of course, app development companies do their job as per they receive the requirement from their clients. But, depending completely on developers or company is not everything. You need to be more open and tactical in this case. In the world of the internet and mobile, customer-facing enterprise mobile apps work as a wonder for small to large businesses across the world. Thus, the mobile app development is in a great demand. However, the competition and evolving technology have made it challenging for app developers to build the app that meets both business and customers requirements. They have to overcome certain hurdles in order to become successful. These obstacles are related to the whole development procedure – From choosing right developers to implement practical development methods, to incorporate best functionalities/features to the end-product.